Another fun Holiday Pet Portrait sitting announced! 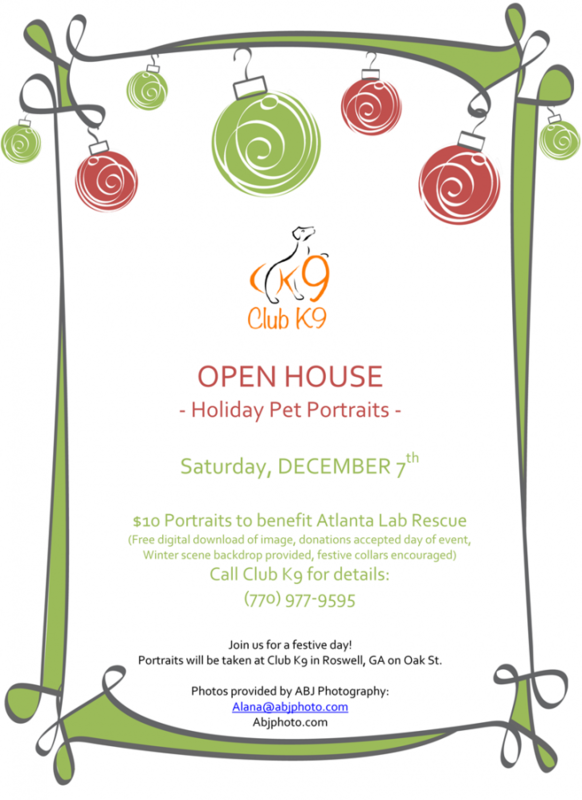 Bring your dog to Club K9 in Roswell, GA for a Holiday photo and stay to enjoy some fun treats and learn about Club K9’s Services. This event will be an open house and we will collect donations for Atlanta Lab Rescue when you have your pet portrait taken. ABJ Photography will be available from 9-4pm for walk in portraits. Join your dog in a Holiday photo, or simply visit while they have their photo taken with a festive winter backdrop. For more information please CONTACT me today via the button above!